An Empty Nest? Or Not? I just went and watched my older son graduate from college. Truly a proud moment. …took a lot of photos, hugged and kissed him, and then flew back home with the family. The younger son joined us, flew back with us and is staying with us for the summer. He’ll then return to college. When he moves out at the end of this summer, my husband and I will once again be in empty nest mode. Now don’t get me wrong. I love my sons. But after the initial gut-wrenching sadness of having them both gone…and it truly was gut-wrenching, I have the therapy bill and prescriptions to prove it…well, after all of that, something happened. The empty nest became a lovely respite. My husband and I were no longer on a schedule or mental “to do” list relating to addressing others’ needs. The only in-house residents who now depended on us were our two cats. So lovely. So easy. So flexible. 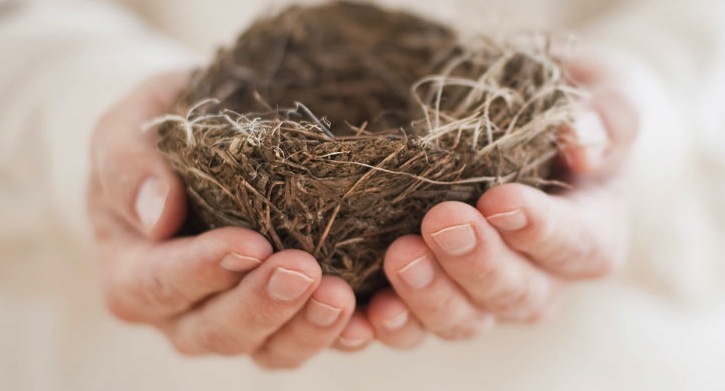 Now, before you scream out that I am the world’s most selfish mother, let me help you understand that for me, an empty nest is more than just enjoying quiet or having a clean house. You see, this has truly been a caregiving nest for a long time. 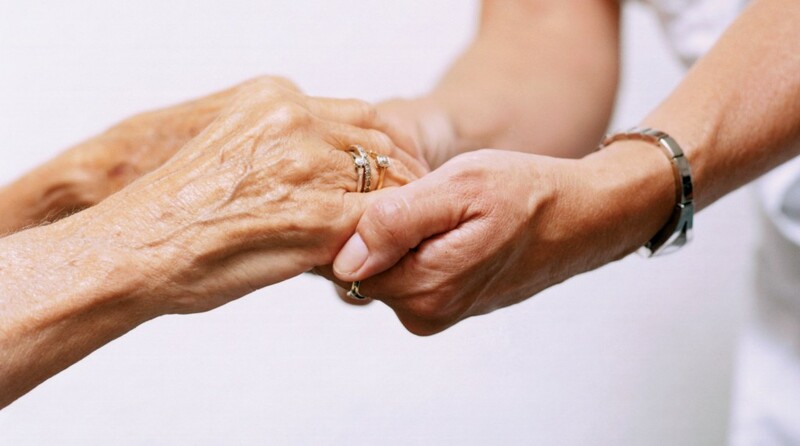 Not just caring for our kids, but caring for my elderly mom for 9 years in our home. She passed away about 6 years ago, at the age of 94, and we were blessed to have her with us. But to be very honest, having her here meant we were very tied to our nest. We never took our kids on vacations that were greater than about 3 hours away (and never stayed away more than a few days), I worked from home, I spent a lot of time toting her to doctor appointments, etc. We had relatives fly out and care for her the few times we wanted to be away for a week. I didn’t mind as I loved her so much (SHE was in fact the world’s greatest mom). She was also a dear human being, and a major part of my family for most of my kids’ childhood. And that’s an important point, because we were already in the caregiving mode with them. When she died, our older son was just about to go off to college. So the past few years have been kids going away in the fall, and returning in the summer…and now, just one here this summer, one last time. Then I am out of the caregiver business. Oh, I understand being a mom is a forever thing, and I love my boys and want to always be involved in their lives. But with their college departures, my husband and I officially planned to hang up the “no more caregiving in this nest” sign. And actually, we started thinking of downsizing the nest as well and moving away to a less congested area and a simpler lifestyle. As a sign from the heavens that we were making the right decision, we got our AARP membership renewal solicitation, so felt that was confirmation of our need to change our mode to more of a self-centered pre-retirement nest. We scouted out locations and found an area we like. We found a realtor. But then, a wrinkle in our plan. My husband’s mom just turned 80. And we’ve noticed that although she is healthy, she is slowing down and also, is becoming more and more isolated. She really needs to hang up the car keys, completely. She needs more interaction and physical movement. Although healthy, we have had a few scares over the past years. She is now only about 30 minutes from us (so a midnight phone call that she is feeling dizzy can be quickly addressed). I feel we can’t just leave her all alone. So what to do? OMG, can we even think of going back into caregiving mode? I have searched my heart and I am not sure that I can. I spent many sleepless nights, imagining going back to that responsibility. Sure, she wouldn’t need that much of my attention now, but what about 5 years from now, or even next year? This will clearly require a great deal more reflection, and clearly more wine. This entry was posted in Boomers and health, Caregiving, College-age kids and tagged boomers, generations, multi-generations, parenting by dblum4blog. Bookmark the permalink.